With 2.3 release we have finally implemented interactive remoting – so now you can use Enter-PSSession and Exit-PSSession right in the PowerGUI Script Editor. This is very handy in the PowerShell Console pane, when you want to quickly interactively connect to a remote server. We have long had support for other forms of remoting (New-PSSession, Invoke-Command, and so on) – now we finally are closing the loop with the addition of interactive remoting. 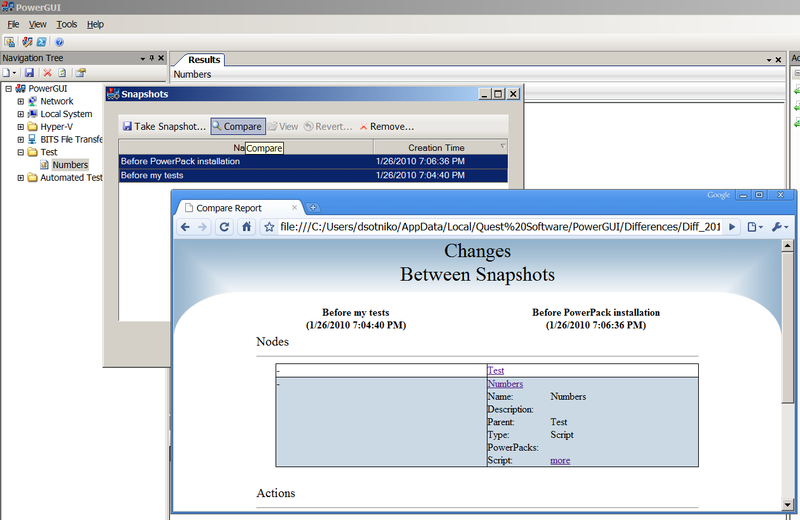 Learn more about what’s new in PowerGUI 2.3 and download it here! Don’t get confused by the version number – this is a major update to the free QAD cmdlets adding significant new functionality and making Active Directory management from PowerShell easier than ever before. Here is a quick list of what is new in this release. You can read more about each cmdlet and parameter by following the corresponding links – or waiting till I blog about all the new functionality throughout the coming weeks. To get full list of all QAD cmdlets please see AD cmdlets online reference. Download AD cmdlets 1.4 here and let us know what you think. This turns PowerGUI into a great reporting and data visualization tool. Check out the video, download PowerGUI 2.1 and let us know what you think. If you have not downloaded the new version yet – do it now. This is one of the most exciting ‘minor’ releases we have ever had! Charts: Admin console now has built in charting so with a few clicks you can change the grid into a chart or make them display side by side. Custom html pages: Any node can now display your custom HTML or MHT file instead (or next to) the data grid. This lets you add some branding or help information to your powerpacks. Script Editor SDK: Create add-ons adding custom panes, menu items, toolbar buttons, event handlers, or append/redeifine any of our editor and debugger functionality! These are very exciting and each deserves a separate blog post – which is exactly what I am planning to do in the next few days. Stay tuned for the posts. 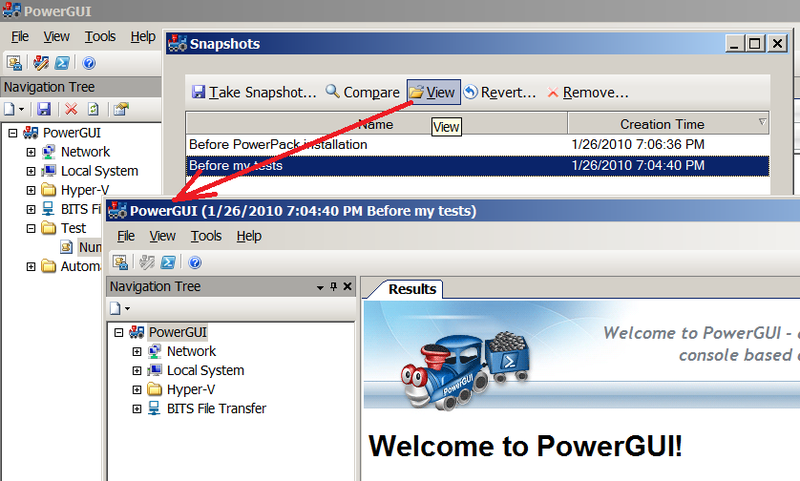 Download PowerGUI 2.1 now! The final code and trial keys are now freely available at www.quest.com/PowerGUIPro. Thanks to everyone who helped beta-test this great release. Give it a try – go to the PowerGUI Pro page, download the final code, get a free trial license, and hopefully buy the product. Our free PowerShell tool just got its version 2.0 release and besides multiple bugfixes and improvements a great new feature: Configuration Snapshots. Besides that we automatically create a new snapshot each time you install or upgrade a PowerPack so you have an ability to roll these changes back. We hope this makes your experience on working with PowerGUI Admin Console and authoring (and using) PowerPacks much more enjoyable! You can read about some of bugfixes based on community feedback in our release notes. 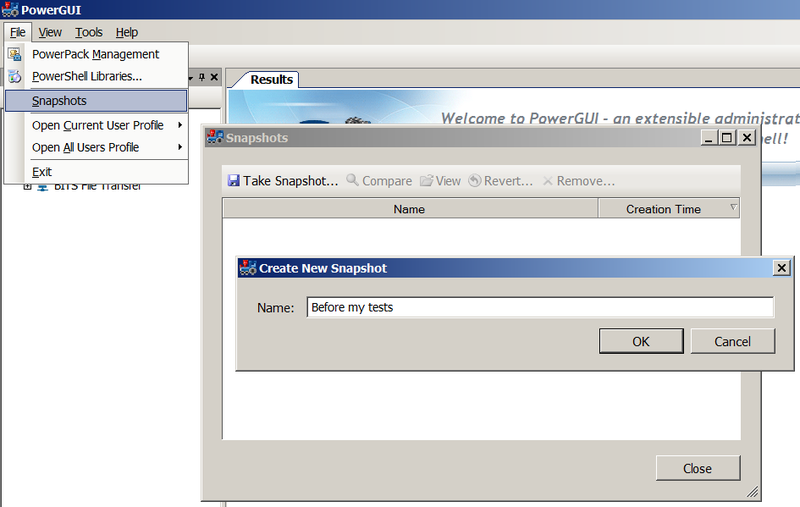 Download PowerGUI 2.0 and let us know what you think!